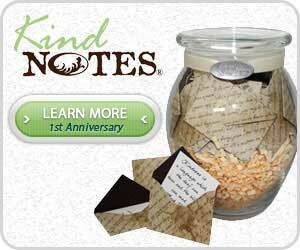 The fourth anniversary gift tradition dates back to the late 1930s. The American National Retail Jewelers Association (ANRJA) created a list of symbolic items couples could exchange with each other on each of their wedding anniversaries. Each item represents an enduring quality of the relationship at that given time. The symbolic gift for a fourth anniversary is fruit or flowers. These symbolic tokens represent the familiarity, comfort, gentility, and new life of your relationship after four years of marriage. Why is fruit/flowers the traditional fourth anniversary gift? Most every fruit and flower holds a special meaning. As a whole, fruit represents abundance, nourishment, pleasure, and comfort. Flowers represent new life, youth, and beauty. Each of these qualities is comparative to a marriage of four years. It took nourishing to develop into a comforting, pleasurable relationship. At the same time, it is still young and full of new life. It is around the fourth year of marriage that some couples begin thinking about bringing a child into the relationship. Fruit Gift Basket-A fruit-themed gift basket or edible arrangement is a great traditional gift for a fourth anniversary. Toss in a bottle of wine and some chocolate-covered strawberries, and you’ve got yourself a romantically delicious gift! Fruit-Infused Water Bottle/Pitcher – Another healthy option that makes a unique fourth anniversary gift is a fruit infusion water bottle or pitcher. If you haven’t heard of this, now’s the time to check out the fruit infusion gift selection. Pie Making Kit – Apple, banana, cherry – If your spouse loves fruit pies, give them a pie making kit, complete with all the ingredients. Floral-Printed Clothing – Could your sweetie use a new pair of pajamas? How about a Hawaiian shirt? Or a maxi dress? Your fourth anniversary is the perfect time to give them a new clothing item with a floral print. Floral or Fruit-Scented Perfume/Cologne – Colognes and perfumes always make wonderful gifts. The wide variety of floral and fruity scents make them easy to incorporate into the traditional fourth anniversary gifts theme. Believe it or not, appliances are the modern gift to give on a fourth anniversary. If for any reason your spouse questions your gift choice, blame it on the Chicago Public Library—they’re the ones who created the modern anniversary gift list. As long as your thoughtful in your gift selection, you shouldn’t have have problems (see below for some cool ideas). Coffee Maker – Has your spouse been eyeing that new Keurig or some other premium coffee maker? Your fourth anniversary is the perfect time to give it to them as a gift. Smoothie Blender – A blender designed especially for making smoothies is a great gift for health-conscious partners. Outdoor or Indoor Grill – It’s the perfect fourth anniversary gift for men (and women) who love to BBQ. Beer Keg Refrigerator – If your man loves beer, he’s sure to love you MORE when you give him a beer keg refrigerator. Cupcake/Cake Pop Maker – Cupcakes are all the craze, and so are all the mini cupcake and cake pop makers. A must-have for any spouse who loves to bake sweet treats. The geranium—a widely familiar and colorful flower—is the traditional fourth anniversary flower. The geranium symbolizes the comfort and familiarity of your four-year relationship. Geraniums are very popular. Just about every florist and gardening store carries them. They make a perfect traditional fourth anniversary gift. Flower Arrangement – Geraniums are very easy to find, which makes giving your partner a beautiful flower arrangement very easy. Look for blue geraniums, as they satisfy the blue and green color theme for a fourth anniversary. Plant a Geranium Flower Bed – Fill a basket full of potted geraniums or seed packets, toss in a few gardening tools and a pair of gloves, and you’ve got yourself a beautiful (and traditional) fourth anniversary gift, made with love. Decorative Geranium Throw or Pillow – Blankets and pillows with colorful geranium prints make useful and thoughtful fourth anniversary gifts. 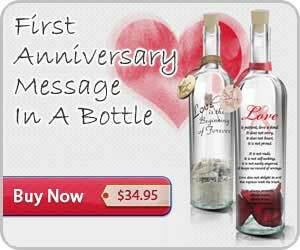 You might even consider having a loving message or quote embroidered on it. The traditional fourth anniversary gemstone is the beautiful blue topaz. Pure topaz is essentially colorless, which is why they are often tinted with varying colors. Blue topaz is very eye-catching. It resembles the color of the sky. Matching Bracelets – Impress your spouse with a romantic set of bracelets made with blue topaz. Blue Topaz Necklace, Ring, or Earrings – Blue topaz jewelry of any kind is always dazzling. Blue topaz necklaces, rings, earrings, tie clips, and cufflinks all make excellent fourth anniversary gifts for the traditional at heart.